Faulty or broken electrical fittings can cause an electrical shock or a fire. Fittings are more likely to fail if they are not robust enough for harsh environmental conditions or to meet the demands of a large household. A broken light bulb or light fitting could also indirectly cause a house fire because people may use candles or another type of flame for light. 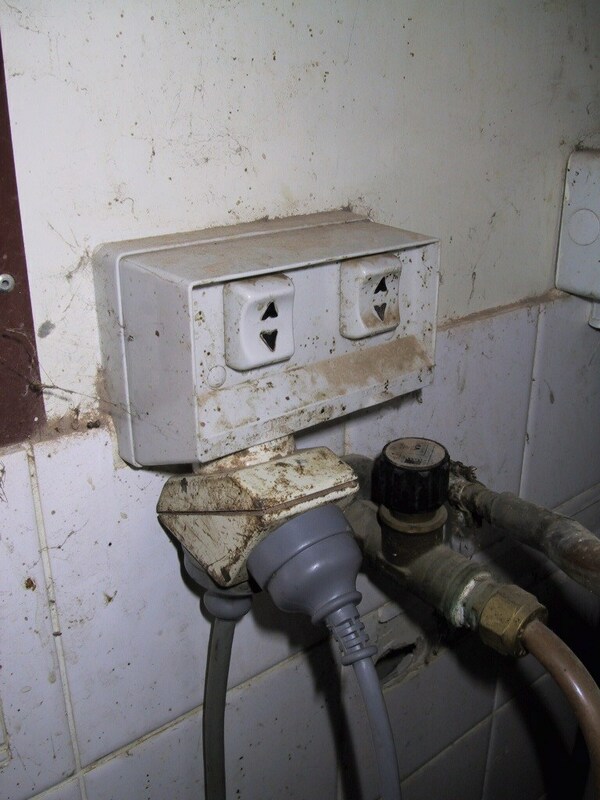 As water and electricity are a dangerous combination, there is an increased risk of electrical shocks in wet areas (laundry, bathroom and kitchen) and external areas of the house. In places like these, make sure that weatherproof fittings are used and keep water away from electrical points, fittings and appliances. Australian wiring rules have diagrams to assist correct placement. Standard power points, lights, fans and other electrical fittings are likely to fail more quickly under extreme environmental conditions, such as the constant dust of dry and hot environments, or high humidity in the tropics. 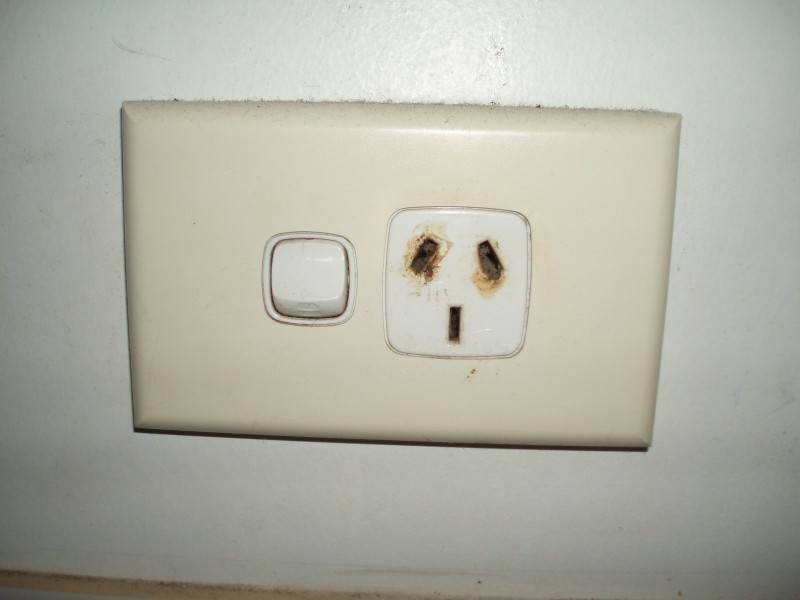 Household pests can cause faults in electrical fittings by nesting in them (see A1.3 ‘Cabling and wiring’). Electrical fittings may also have a shorter life in a large or busy household because they are used more often. Electrical fittings may be damaged by exposure to water or chlorine based cleaning products during house cleaning. 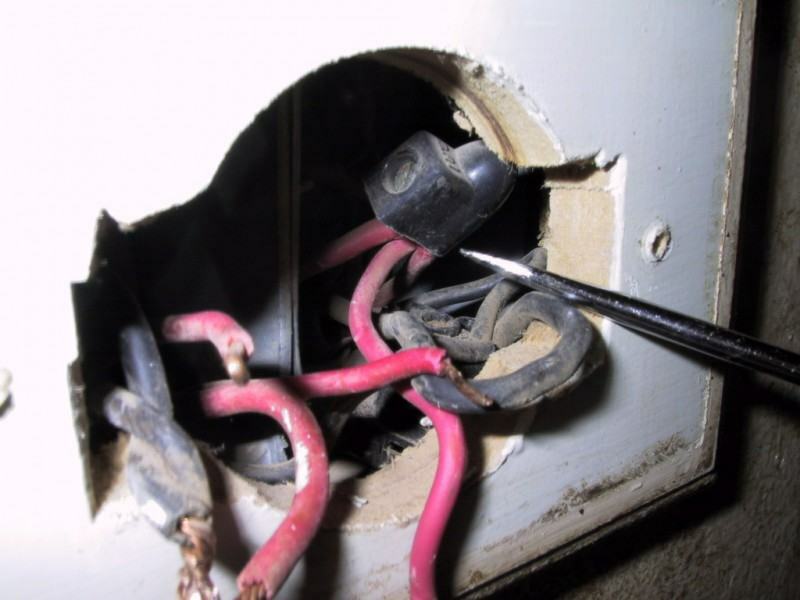 A poor quality power supply, resulting in extreme power variations, is another cause of failure in electrical fittings. Specify fittings to suit the power generation system. 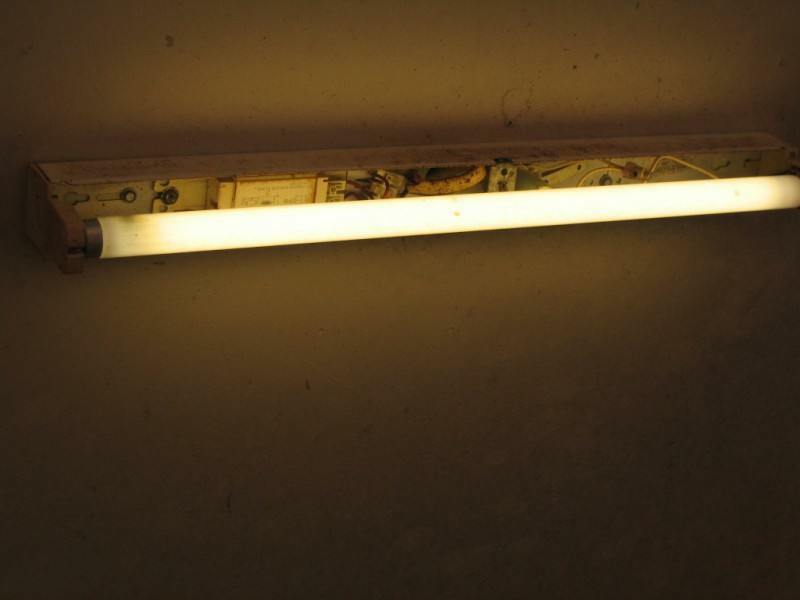 For example, incandescent globes are particularly susceptible to surges in the power supply but other types of lamps such as fluorescent tubes, are more able to tolerate these conditions. Avoid single, centrally located bayonet light fittings when they do not provide adequate light for the room. To boost light levels some people use light globes with a higher wattage than that recommended for the fitting. 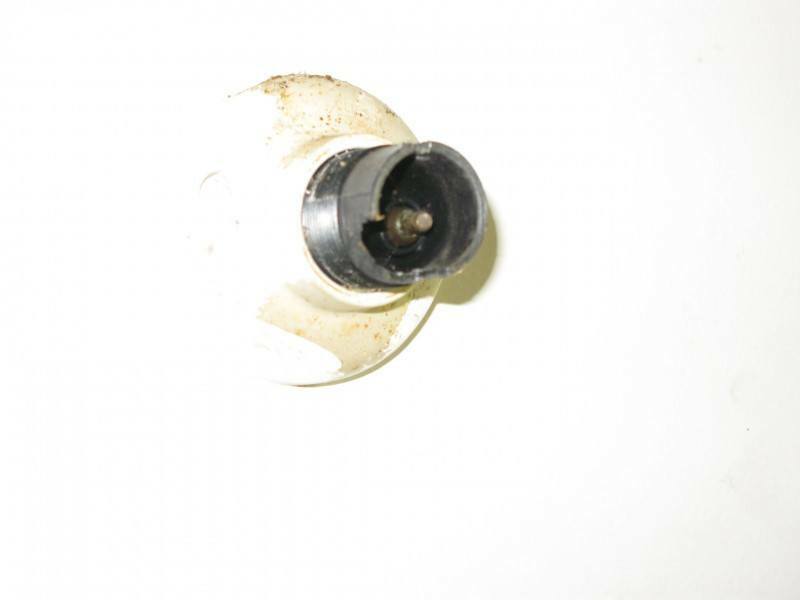 This can lead to increased heat and subsequent fitting failure and damage to wires within the fitting. If there are not enough power points in a room or if they are in the wrong location, people may use double adaptors, power boards and extension cords, which they could trip over and cause electrical faults. Also make sure that there are outside power points for external living areas and verandahs. Power points and light switches also need to be in safe and accessible locations, away from water and heat sources, high enough that young children will not play with and accessible to people with disabilities. The recommended height of switches and power points for use by people with disabilities is in line with door handles (900mm to 1100mm above floor level. A ‘rocker’ action, toggle, or push-pad switch with a width of 35mm is recommended). Power point dangerously located above water pipes. 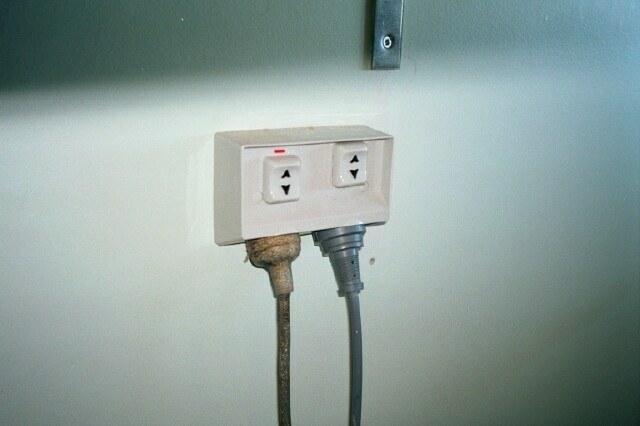 Unsafe power point. Note the discoloured pin entry points caused by electrical shorting. there is sufficient light for people with visual impairment, or sufficient capacity in the wiring so that the light fittings can be changed or supplemented without rewiring. 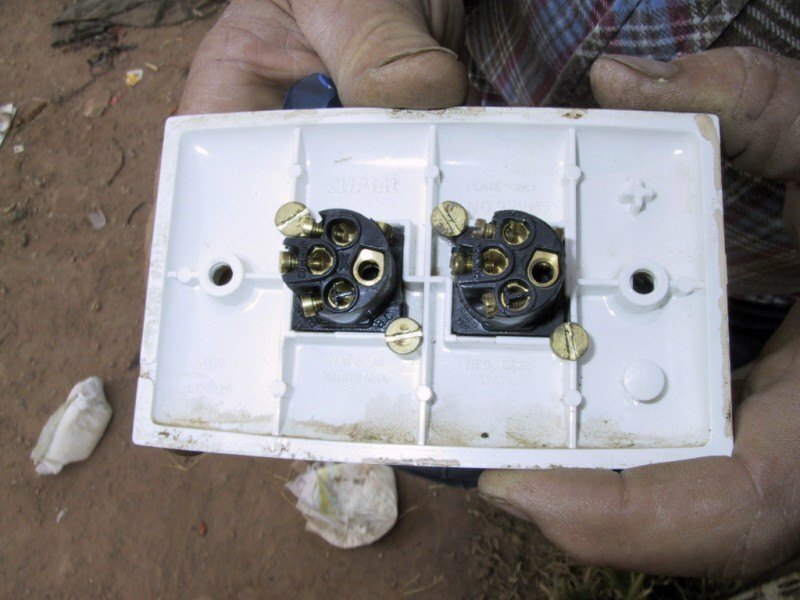 installing a power point in the meter box to enable use of power tools without running electrical lines through windows. Screws behind the switch buttons can secure make the fitting more robust and safe. all power points are correctly wired and tested. that all light switches, fittings and bulbs / tubes / lamps are working. 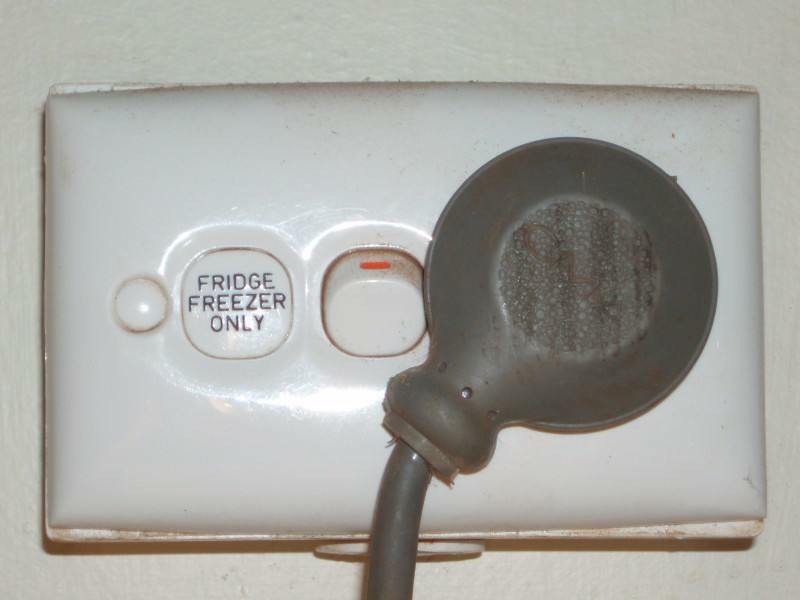 after upgrading or renovation, power points and light switches have not been painted over. arrange for an electrician to replace power points, switches, lights and other fittings that are broken, are cracked, unsealed, or have been painted over. 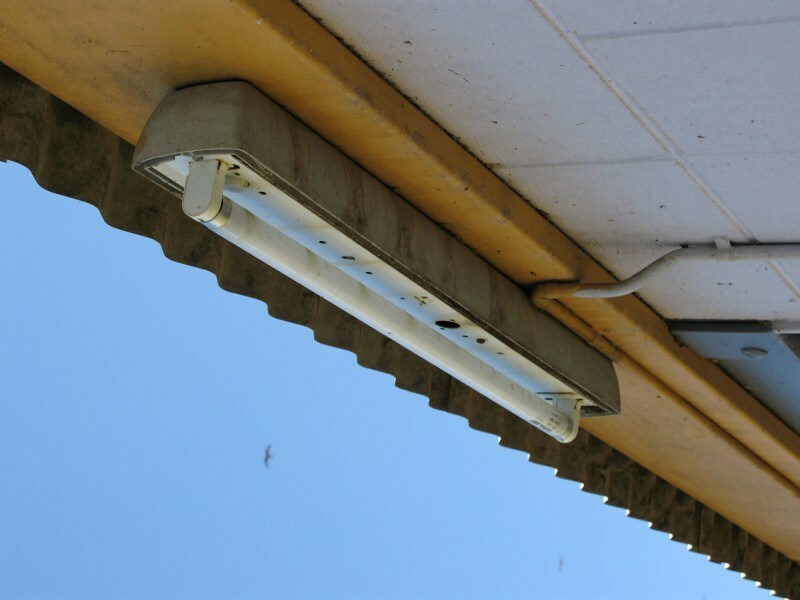 if replacing standard power points, consider weather protected power points in wet areas and external areas. if cleaning the house with water and/or chlorine based products, protect electrical fittings from getting wet. Chlorine based products contain ‘salts’ that continue to attract water to areas where the products have been applied and therefore are particularly hazardous near electrical switches and power points. if replacing incandescent globes, consider compact fluorescent lamps, or replacing the whole light fitting with a fluorescent or LED fitting. Before doing this, make sure the new lamps are available at a nearby store. AS 1428.1–2001, Design for access and mobility—General requirements for access—New building work. AS/NZS 3000:2000, Amendment 1–2001, Amendment 2–2002 Electrical installations.